SCVAA basketball will continue to accept late registrations until the start of the regular season according to a specific policy. Athletes registered before the registration deadline will be placed on a team, and all attempts will be made to place the child on a team in his/her chosen registration area. However, this cannot be guaranteed. Registrations received after the registration deadline will only be accepted on a space-available basis. Teams needing players will get the next available player, independent of the athlete's preferred registration area. There will be a $20.00 late fee assessed. The basketball Commission approves the coaches and assistant coaches. Problems relating to unacceptable behavior of participants will be processed through the basketball commission. The SCVAA reserves the right to limit the number of players per team, and assign players and coaches to each team. The SCVAA has permission to verify the grade of the participant with School District #834. The SCVAA and I.S.D. #834 are not responsible for accidents or injuries. Note: The only means of assuring your child plays with another specific child is that parents of both children agree to Co-Coach a team. The names of all Co-Coaches must appear on all registration forms. We will try to honor up to three Co-Coaches per team. Location and start times of games are determined by I.S.D. #834. The SCVAA is not responsible. Players and coaches can be suspended for action’s detrimental to the participants and program. Players can also be suspended for parent(s) actions. It is recommended that the Executive Board be notified promptly in writing of any disciplinary action within an individual commission before any action is taken. 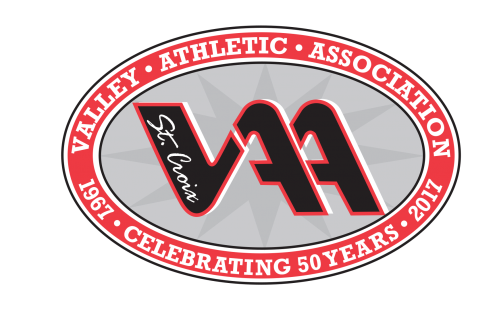 The Executive Board of the St. Croix Valley Athletic Association will review all disciplinary procedures/actions of an individual commission before the individual commission proceeds with it’s disciplinary action. All parties involved have the right to appeal the decision of the individual commission or Executive Board within 30 days upon receipt of a certified letter from the St. Croix Valley Athletic Association.